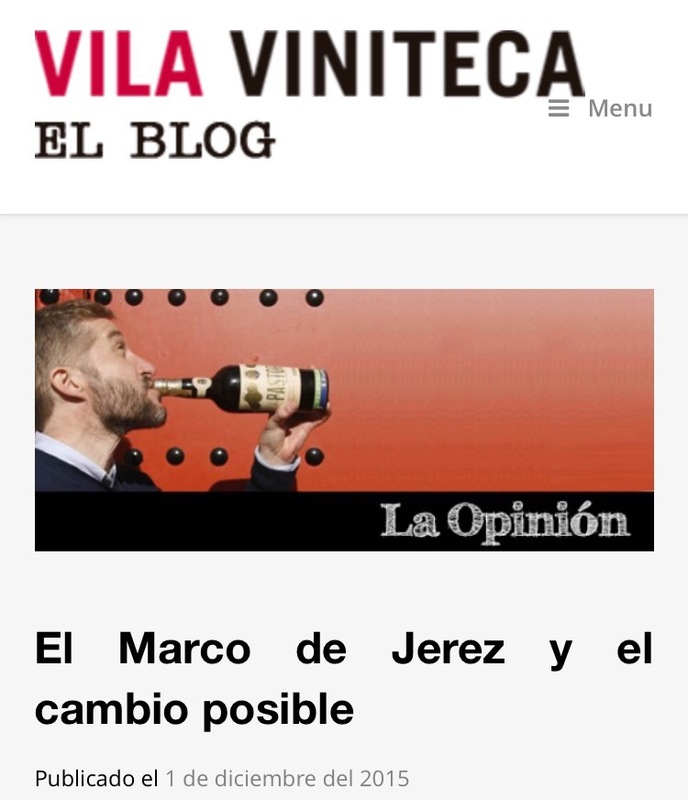 I came across this great article by Armando Guerra on the Vila Viniteca blog as a result of a tweet by the UEC the other day and what a nice piece it is. I don’t know Armando well but he comes across as a really nice chap – friendly, seemingly always laughing and disarmingly modest – the kind of guy who wears his knowledge, and his achievements, lightly. This article is a great example, and is probably the most measured piece on the “resurrection/ revolution/ reboot/ rebirth” that I have read. The highlights for me are two lists: one of some of the people responsible for the change in trend, as he puts it; and one of the paths forward for the future. The first list is brilliant – all the usual suspects are there (Ramiro, Willy, Williams, Alba, Fernando de Castilla – you can see the whole list in the piece) but there is also recognition for the role played by giants such as Barbadillo and Gonzalez Byass. Later in the piece he also shouts out to the writers, historians and journalists who kept the flame alive: “Girón, Asenjo, Bellver, Luis Gutiérrez, Ivison, Oldemburg, Pepe Ferrer, Liem, Jancis Robinson, Roca, and de la Serna”. White wines with a small amount of ageing under flor. White wines aged without flor from terroir or vineyards of special interest. Sparkling wines of traditional varieties – exclusively or not – and planted on albariza soils. Biological ageing as a quality product, recognized by special sacas or indicating the date of bottling. Biological or traditional ageing without fortification. Biological or traditional ageing of vintage specific wines. The recovery of historic varieties. Repositioning of the old wines of Jerez. Extracting value from the countryside and bodegas as a quality wine destination (contribution to the conservation of historic buildings and landscapes). He signs off with a reference to the tragic death of Chanquete – not a mere Transparent Goby but rather the much loved wise old fisherman from an iconic children’s TV series, Verano Azul. He says Chanquete’s death may have been inevitable but fortunately Jerez’s was not, or summat. It is a timely reminder of how much I have yet to learn about Spanish culture: I have no idea what he is on about. For me the roll calls of honour are missing at least one big name, though: Armando Guerra. His role has probably been bigger than you think – and is certainly bigger than he would ever admit.